Ravi Makadia is a visual storyteller and creative change maker. An accomplished filmmaker, he knows how to define a vision and weave a narrative able to move a project from inception to solution as easily as he guides an audience through a storyline. 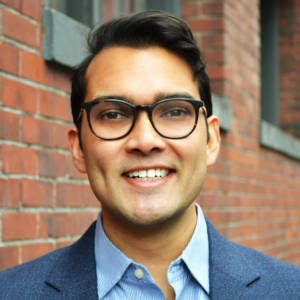 Ravi is empathetic and optimistic, with a passion for delving into the qualitative factors that drive an organization’s culture. His focus on the “why” inspires clients to crystallize their greater purpose and drive sustainable results. A seasoned consultant, Ravi has more than 12 years of experience solving complex operational and financial challenges affecting the medical industry, with past roles at organizations that include Emory University School of Medicine, Huron Consulting Group, and AXIS Management Group. Ravi holds a bachelor's degree in biology and anthropology from Emory University.